When I saw this recipe, my mouth immediately began to water. In fact, it’s still watering as I write this. MAN OH MAN! 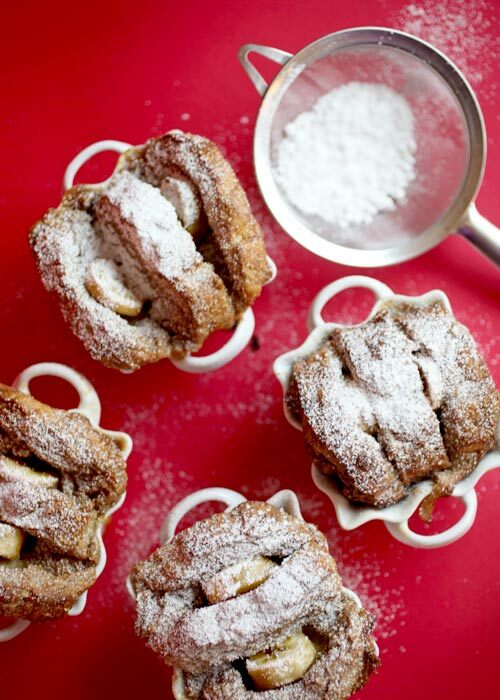 Don’t those look decadent and delicious and sweet and savory.. and.. and… I sure do wish I had that many mini ramekins, but since I don’t I could always try baking this in a casserole dish and it would be multiple portions. I’m going to try making it this weekend for a Saturday brunch! YUM Can’t wait! For more fabulous recipes, be sure to stop by Bakerella!